For thirty years, Franklin D. Murphy was the dominant figure in the cultural development of Southern California, elevating the city into an arts capital. 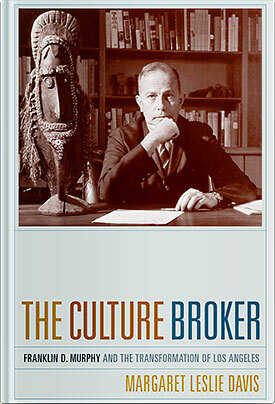 Murphy utilized his relationships with the founders and scions of some of America's greatest fortunes – Ahmanson, Rockefeller, Ford, Mellon, and Annenberg – to direct the largess of the wealthy into the cultural institutions of his choosing. 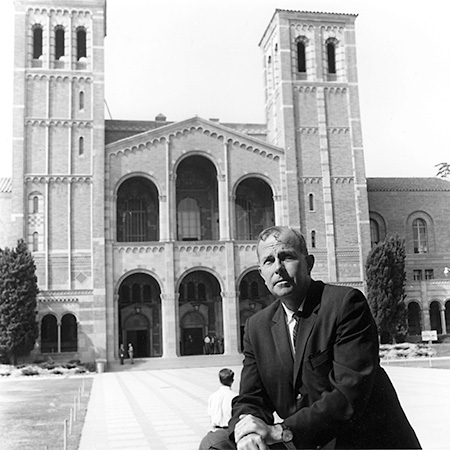 In this first full biography of Franklin Murphy (1916-1994), Margaret Leslie Davis delivers the compelling story of how Murphy, as chancellor of UCLA and later as chief executive of the Times Mirror media empire, was able to influence academia, the media, and cultural foundations to reshape a fundamentally provincial city. Davis's intriguing account brings to light the influence of L.A.'s powerful families and chronicles the mixed motives behind large public endeavors. Channeling more than one billion dollars into the city's arts and educational infrastructure, Murphy elevated Los Angeles to a vibrant world class city positioned for its role in the new era of global trade and cross-cultural arts. 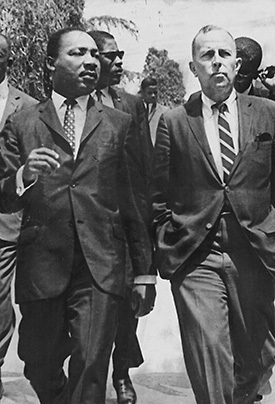 With tensions continuing across the country over voting rights, Murphy embraced the arrival on campus in April 1965 of Martin Luther King, Jr. King’s historic march from Selma to Montgomery, Alabama, had taken place in March under the protection of Federal troops. Murphy supported King’s visit despite legitimate fears over security, the potential for violence, and the adamant disapproval of some university regents. 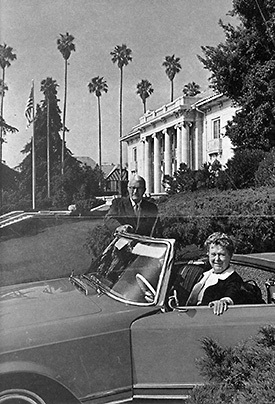 Norman Chandler and his wife, Dorothy Chandler, in front of their Windsor Square home, September 1968. The city and the Los Angeles Times had long been entwined: the couple were catalysts for the city’s future, continuing the family’s long-standing role in shaping Los Angeles.